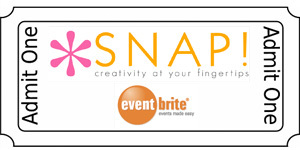 We're so thrilled to finally announce the venue for the SNAP 2012 creative DIY conference! After much work from our fabulous Tauni, we have secured Thanksgiving Point and it's incredibly beautiful surroundings for our venue. Can I just tell you how utterly excited we all are!? We couldn't ask for a more majestic setting. The conference will be taking place during the most beautiful event that Thanksgiving Point has to offer... The Tulip Festival! Not to mention the award winning dining and most importantly... INCREDIBLE shopping that Thanksgiving Point has to offer! Believe me, you will NOT be lacking for things to do or see between classes. Along with the venue announcement, we have also secured the Springhill Suites by Marriot Hotel, for all of our fabulous SNAP attendees to stay at, while enjoying the conference. We DO advise that you secure a room soon, if you plan to attend the conference and need a place to stay, because of the very popular Tulip Festival that runs that week, the hotels around the venue will sell out quickly! If you have yet to purchase your tick for the SNAP conference, you can do that at the Eventbrite site, here! The tickets are at a significantly discounted rate right now, and will increase as the conference get's closer. So hurry on up and snag yours! On another note, as I mentioned before, I am honored to be in charge of the Home DIY track for SNAP, along with the ever innovative Mandi from Vintage Revivals. We have had a bunch of emails about how Home DIY experts like YOU can get involved in the conference as a speaker, panelist or teacher for one of our hands-on classes! All you have to do is visit the SNAP site and fill out a Call for Speaker form. Easy as that! Please Note: Applications will only be accepted through August 31st 2011. So are you getting as excited as we are!? Are you gearing up for a weekend full of creativeness and networking? I sure hope so, because I can't wait to meet you! Wow! Love the location. Can't wait to hear more! I am SO jealous! Can't wait to hear ALL about it! That sounds like a great conference, and it's not that far from me! Yay! SNAP will be my first blog conference! You girls are GLOWING with enthusiasm!